Featuring a 5-megapixel CCD sensor, the DMC-FZ20K delivers a wide range of detail and color with images up to 2560 x 1920 pixels--enough information to make photo-quality prints up to 13 by 17 inches. Leica DC Vario-Elmarit 12x zoom lens, with 3 aspheric elements, combines comfortably small size with superb image rendering. By combining with a 4x digital zoom, users will have an equivalence of a 48x zoom lens in a very compact body, though users should note that digital zoom degrades picture quality. The DMC-FZ20K lets you shoot QuickTime Motion JPEG video at resolutions up to 320 x 240 pixels with sound. The amount of video you can capture is limited by space on the memory card; you'll fit more at low quality (10 frames-per-second) than at high quality (30 frames-per-second). The movies aren't camcorder quality, but they're fun and convenient, and they're perfect as e-mail attachments. You can also record audio comments, up to five seconds in length, for your still pictures. Mega Burst Shooting Mode: Shoot up to seven images at three or two frames-per-second in standard resolution, or up to four images in fine resolution. This option is designed to provide you with the best selection of photos during action, such as a sporting event. Images and video are stored on Secure Digital (SD) memory cards. A 16 MB SD card is included. Files can be downloaded to either a Mac or PC via USB connectivity, which means it can be connected to any USB-based Windows 98/Me/2000/XP and Mac OS 8.6 or later computer without installing any software. Kodak's top-of-the-line compact digital camera for 2004, the EasyShare DX7630 features a massive 6-megapixel resolution--good enough for print enlargements up to 30 x 40 inches. It also offers the professional quality Schneider-Kreuznach Variogon 3x optical zoom lens, Kodak's new Color Science image processor, an extra-large 2.2-inch indoor/outdoor LCD, movie mode with audio, rechargeable lithium-ion battery, 32 MB internal memory, and compatibility with SD and MCC memory cards. Optics and Resolution The DX7630 has a 6-megapixel resolution for 2856 x 2142 images and photo enlargements up to 30 x 40 inches. Other resolution modes include 2856 x 1904 (5.4 MP, 3:2 aspect ratio), 2304 x 1728 (4 MP), 2048 x 1536 (3 MP), and 1496 x 1122 (1.7MP). The Schneider-Kreuznach Variogon 3x optical zoom lens is also supplemented by a 4x digital zoom, for a 12x total. Working with renowned German professional optics designer Schneider-Kreuznach, Kodak equipped the camera with an f/2.8 - 8.0 aspheric lens to provide striking edge-to-edge brightness and sharpness across the frame. The DX7630 can capture full-motion video (20 frames per second at 320 x 240 pixels) with capacity dependent on available memory (32 MB internal memory included; additional memory may be added via the SD/MMC expansion slot). The DX7630's 32 MB memory will capture approximately 3.5 minutes of video. The DX7630 camera's precision low-light auto-focus system combines rapid phase detection with highly accurate through the lens (TTL) contrast detection to sharply define a subject, even in almost complete darkness. Continuous auto-focus also delivers rapid click-to-capture (0.3 seconds). Selectable focus zones and exposure metering allow exacting control over each scene, while standard and fine JPEG compression settings give users more power over their file sizes and quality. The DX7630 camera offers automatic as well as fully manual controls, permitting independent aperture settings, shutter speed (1/1400 to 64 seconds), exposure compensation and automatic bracketing, and ISO equivalents. The camera also features aperture priority, shutter priority, program and custom modes, as well as 16 scene modes including sport, portrait, night, landscape, macro and automatic. Images can be stored within the DX7630's 32 MB internal memory, or on optional Secure Digital (SD) or MultiMedia (MMC) memory cards. It connects to Macs and Windows-based PCs via USB 1.1 connectivity. With a touch of the red-jeweled Share button, you can store up to 200 pictures in an on-camera digital album. These pictures can then be shared anytime on the camera's large, 2.2-inch, high-resolution (153,000 pixels) indoor/outdoor LCD screen. The Share button also allows selection of photos for printing and even e-mailing, with up to 32 e-mail addresses stored in the camera's memory. Kodak's Color Science Image Processing Chip offers a new high-speed digital image processor, advanced algorithms, and hardware acceleration features that enable the DX7630 make simultaneous, split-second decisions to produce rich, vibrant, true-to-life colors in almost any lighting situation. Each time you click the shutter, the Kodak Color Science Chip performs an instantaneous and advanced analysis of collected scene data to identify and correct multiple factors that influence picture quality. Scene light source is detected and adjustments are made to capture bright whites and true, vivid colors under difficult lighting conditions--fluorescent, tungsten or daylight. Scene content is analyzed for luminance, focal distance, subject matter orientation and color to determine the correct exposure and capture the natural details, accurate flesh tones, and rich colors you see in your composition. The DX7630 is powered by a proprietary rechargeable lithium-ion battery (1050 mAh), which can be charged via the included battery charger or an optional EasyShare Camera Dock. The KLIC-5001 battery can shoot approximately 350 images on one charge. The camera measures 4.0 x 2.7 x 1.6 inches and weighs 7.9 ounces without the battery. 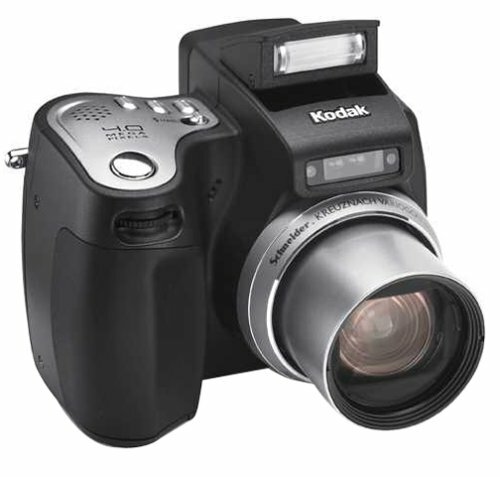 This package contains the Kodak EasyShare DX7630 digital camera, rechargeable lithium-ion battery (KLIC-5001), battery charger, USB and A/V cables, wrist strap, lens cap, and custom camera insert for optional EasyShare Camera and Printer Docks. Great camera, but part broke that holds battery in within 1 week of use. Have read other reviews on other sites w/similar problem. This is one of the best buys. and you can capture any moments of your family. 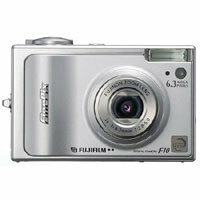 I was excited about the high 6.1 MP on this small digital camera. My problem is the Red Eye Reduction. It just doesn't work 8 out of 10 times. I talked w/Kodak about this issue, and they basically said its just the way it is. I wouldn't spend my $$ on this camera...there are many others out there that don't have this much lack of Red Eye Reduction. I've found the DX7630 to be an easy to use camera very well suited to casual, handheld picture taking. There's not much of a learning curve, the body feels solid in the hands and the image quality is a good match for on-screen use and consumer level printouts. Shutter lag seems minimal, the AF is fast, battery life is long and the large LCD display is easy on the eyes. On the downside, this camera would not be the best choice for more deliberate, tripod bound photography. Aside from the rudimentary self-timer, the DX7630 lacks any remote shutter release option and does not support any uncompressed file formats. Also, the JPEG compression is somewhat excessive and the camera provides no user controlled noise reduction. 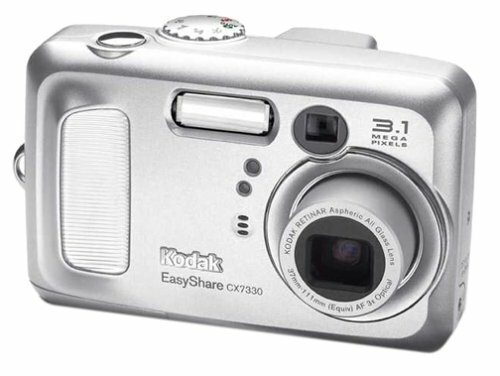 Kodak's compact EasyShare CX7300 is designed for the beginner digital photographer. This fun, reliable point-and-shoot digital camera makes sharing and printing high-quality pictures a snap. 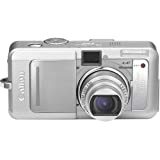 It features a 3.2-megapixel resolution--good enough for enlargements up to 11 x 14 inches--a 3x digital zoom, 16 MB internal memory, and compatibility with SD and MCC memory cards. 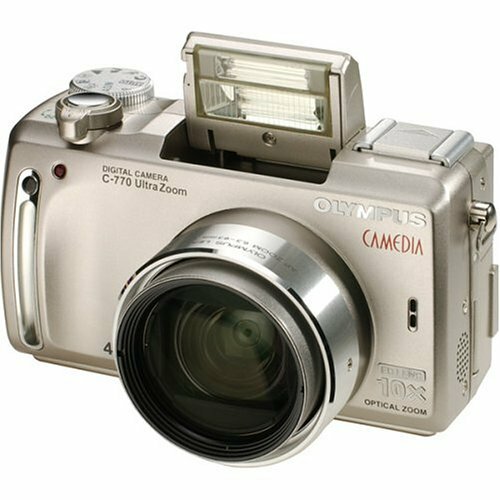 Optics and Resolution The CX7300 has a maximum resolution of 3.2 megapixels (2080 x 1544 pixels), and it also offers a 2.8 MP mode (optimized ratio for 4 x 6-inch prints) and 0.8 MP (good for email). It's fixed-focus 37mm lens has a focus distance of 2.6 feet to infinity and an aperture of f4.5. In addition to still photos, the CX7300 can also capture short video clips (without audio). You can shoot 30-second QuickTime movies at a 320 x 240 resolution at 15 frames per second. With a touch of the red-jeweled Share button, you can store up to 200 pictures in an on-camera digital album. These pictures can then be shared anytime on the camera's large, 1.6-inch indoor/outdoor LCD screen. The Share button also allows selection of photos for printing and even e-mailing, with up to 32 e-mail addresses stored in the camera's memory. Images can be stored within the CX7300's 16 MB internal memory, or on optional Secure Digital (SD) or MultiMedia (MMC) memory cards. It connects to Macs and Windows-based PCs via USB 1.1 connectivity. The camera is powered by 2 AA batteries (alkaline included; NiMH rechargeables recommended). It measures 4.1 x 2.6 x 1.6 inches (W x H x D) and weighs 5.2 ounces without batteries. This package contains the Kodak CX7300 digital camera, 2 AA batteries, USB cable, wrist strap, and custom camera insert for optional Kodak EasyShare 6000 series camera and printer docks. My husband has a digital camera and it was not as simply to use unlike this one. My husband decided to buy this one for me as an anniversary gift since I love to take pictures. It is easy to follow, step by step instructions. With the auto focus and flash, all my pictures have come out great. I am very, very, happy with this camera. The software that comes with the camera is also easy to follow. Even a beginner can use it. I guess my Minolta i will be put on top of the shelf. Great value and ease I love it! This is a great camera for the price. Very easy to use, the included software is very complete.Perfect to email pictures.The red eye problem happens even with expensive cameras.I have not had that problem using the flash.I find that the pic look best if it is dark, inside for example.<br />I would recommend this camera to anyone. WOW! What a wonderful camera! Canon updates its popular S-series PowerShot digital camera line with the 5-megapixel S60. 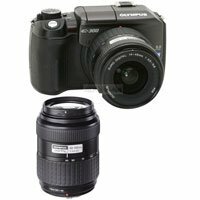 It features a number of enhancements over the previous S50 model, including larger optical zoom (3.6x versus 3x), a closer macro zoom distance, larger video resolution, support for conversion lenses, and a higher capacity battery. Optics and Resolution The PowerShot S60 has a 5-megapixel sensor with a maximum resolution of 2,592 x 1,944 pixels, enough detail for 4-by-6-inch to 20-by-30-inch (poster size) photos. Other resolution modes include 2048 x 1536 (3MP, 1600 x 1200 (2MP), 1024 x 768, and 640 x 480. It features a 3.6x optical zoom and 4.1x digital zoom for a total 14.8x zoom. The lens features Canon's new UA (Ultra-high refractive index, Aspherical) lens, allowing for the design of a more compact lens--making the S60 almost 8% thinner than the S50. The 28-100mm focal length range expands to 200mm with the addition of an optional 2x tele-converter. Canon's powerful DIGIC image processor provides a huge capacity for complex assessment of the scene to be captured. The PowerShot S50 uses information from the zoom position, scene brightness, and other systems to determine what sort of subject is being photographed in order to optimize AF speed, exposure accuracy, and white balance performance. The S60's movie mode has been upgraded to a maximum resolution of 640 x 480 (10 frames per second); it also offers 320 x 240 and 160 x 120 modes (15 frames per second). Individual movie clips are limited to 3 minutes maximum per clip (and 30 seconds maximum for 640 x 480 mode). For beginners, the camera is point-and-shoot simple. Just twist the dial to Auto and start snapping pictures. The PowerShot S60 offers a myriad of setting options, including three light metering modes, white balance presets with two positions for custom settings, exposure and focus bracketing, manual focus and AF lock, aperture and shutter-speed priority, and adjustable ISO-equivalent sensitivity. The PowerShot S60 features 13 shooting modes, including subject-based modes and semi-auto modes such as aperture priority. Photo Effects are an easy way to add creative dimension to your photography, with settings including Vivid, Neutral, Low Sharpening, Sepia, Black & White and Custom. A fast sequence mode allows a maximum frame rate of 2 frames per second, maintained for up to eight images. A new Macro Function lets you shoot as close as 2 inches with incredible detail: the shortest focal length of any Canon compact digital camera not equipped with Super Macro. The nine-point AiAF lets you focus your subject no matter where it appears in the viewfinder. For more freedom, FlexiZone AF/AE let you select which part of the frame you wish to focus on without moving your camera. The S60 uses CompactFlash cards to store images, and it's compatible with Type I or Type II cards, including Microdrives. It also supports the FAT32 format for cards larger than 2 GB. The included 32 MB card holds approximately 21 images at the Large/Fine setting. It connects to Macs and Windows-based PCs via a USB 1.1 connection. The S60 incorporates Canon's new Print/Share button that speeds and simplifies printing to compatible Canon and PictBridge enabled printers. It also offers one-touch image transfer to Windows XP, Me, 2000, and 98 computers for use with image processing programs, uploading to the Internet, or placement in e-mail. When connected to a Canon Compact Photo printer, a Movie Print mode divides the selected clip into equal parts and prints thumbnails of a maximum 63 equally spaced frames onto a single sheet of Postcard Size Paper. The camera is powered by the rechargeable lithium-ion battery NB-2LH, which provides approximately 240 shots with the LCD on and 550 shots without the LCD. It measures 4.5 x 2.2 x 1.5 inches (W x H x D) and weighs 8.1 ounces (without battery). I am in a YearBook Class and we use these digi cams. They are exclusively new. I like how they take pictures. At first, it was hard taking pictures, because I am new to the Digi cam world, and I have used good ol' film cameras for my entire life. Anyway, it was really hard at first, because I took several bad pictures, but finally I found out how to delete them. I would say that this inspired me to save up for a digi cam myself. The only drawback is the price, because my teacher said it cost $600, but then again, she bought it elsewhere. I originally had an S50 until it was stolen, so after much new research I replaced it with the S60. The focusing is much improved over my original S50. Although friends who also had the same camera never seemed to have focusing problems. The navigation buttons on the back of the camera have been improved. It is definately lighter than the S50, which is a bonus for those carrying the camera hiking or climbing. And, its start up time is good if you need to capture a picture really quick. So far it has handled all sorts of lighting conditions very well, and the color definition has been excellent with very little (if any) purple tinting. This is a very feature rich camera, if you like gadgets. However, it is also easy to use when set to fully automatic. The photo software it comes with is much improved, and is an acceptable choice if you don't have the money to buy something like Photoshop. I like the rugged, solid feel of the camera overall. What I don't like about it is the slidable lens cover. I keep bumping it when it is open because of the way I like to hold the camera. The cover extends almost to the right hand side of the camera. If you bump it during picture taking, it shuts down the camera and you don't get your picture. This has happened to me maybe a half a dozen times. I have to consciously force myself to hold the camera as to not disturb the cover when it is open. Maybe in the future canon can move it back from the edge a bit, or reduce the sensitivity of the mechanism that shuts the camera down. Last, this camera isn't design for use in the shirt pocket. If you are looking for a pocket camera this one is a bit big. 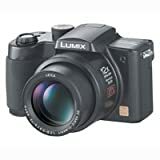 I was looking for a digital camera that has many features as SLR does, yet want it small enough that it's convinient for me to carry it anywhere to do a lot of photographs. I got S60 and so far I'm satisfied with it. The camera produced sharp images and good color balance. And the camera gets ready fast enough to shoot after we turn it on. Though I took many pictures with it and reviewed the images many times, I found out that the battery is long-lasting. I also like the software that puts the picture in folders titled by the date automatically. So I can choose not to print date on the pictures. However, sometimes it's quite hard to slide open your camera when your hand is sweaty. And also almost every single time I take the camera out of my pocket, I slide open the battery door. Yet, they are not a big deal to me. If you're a digital SLR user with some old IBM Microdrives and high-capacity thick CF cards this is a good point-and-shoot camera. Most of the smaller P&S cameras today take the newer smaller xD cards so you end up having to manage an inventory of different kinds of storage devices. The S60 can share memory cards with full-size digital SLRs. How does the camera work? 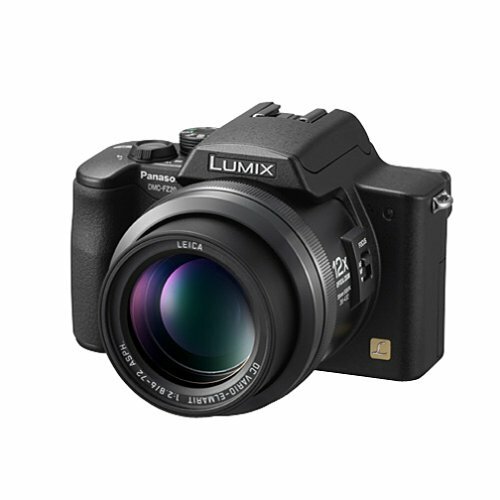 Like any other point-and-shoot at around the same price, more or less. It is more responsive than older cameras but still takes a second or two to turn on or wake up, long enough to lose the moment. The menus and controls will be intuitive for anyone who has used Canon digital cameras before. The 28mm equivalent perspective lens is a nice feature. This is the first small digital camera that gives me most of the options, and picture quality of my SLR film cameras. And it fits in a pocket. The wide angle pictures (28mm equivalent to 35mm) are awesome. Edge to edge sharpness is superb and contrast is VERY good. The tiny ends of the corners (NOT the edges of the frame), only at wide angle, look a little soft, but not noticeable in "normal" photos. The person who says he has un-sharp edges in wide angle images either has a defective camera or has a beef to grind. The edges are absolutely no problem at 28mm. I sent out some wide angle images to have eight 5x7 prints, and two 8x10's made into prints. When I got them back I inspected the corners carefully only to find the corners were as sharp as a tack. Turns out the frame corners are trimmed to fit regular size paper, duh! Ergonomics are great. Controls are much improved over the previous S-series cameras. Focus is fast, my S60 takes about .60 of a second to confirm focus. If there is any shutter lag, I can't tell. The new lens finds focus in low light much more consistently than the S500. I have tried shooting all day, with some flash, and a lot of image reviews on the LCD, and I haven't run down the new high capacity battery yet. The manual options are extensive, intuitive, and very useful for achieving serious high quality prints. The ability to review an image almost instantly by pressing one button, and instantly returning to shooting mode by pressing the shutter button half way down is a real time saver. Amazing lens quality considering at wide angle, this really a 5.8mm lens! Barrel distortion at 28mm is very acceptable and consistent with other wide angle lenses. Macro and tele shots are beautiful. Full manual control (even focus), several auto bracketing options, and very flexible AF and AE options and features. RAW mode. The Canon RAW software is a bit slow, but this is the way to go if you are into digital darkroom techniques and large prints. Long Lasting battery that charges very quickly. LCD screen is very sharp and smooth looking. Very clean and smooth iso50 and iso100 images. 5mp. After working with other 4mp images, the extra 1mp really shows up when preparing an image for an 11 x 14 print or larger. Build quality. Mostly metal. The battery door is plastic, but this seems to be the trend with all small cameras. User control of in-camera contrast, sharpness, and color saturation. Custom setting that remembers and recalls all user settings. Won't fit in a shirt pocket or tight pant pockets well as the S500. Sliding lens "door" takes getting used to, but seems very secure. No anti-reflective coating on the LCD screen. Iso 200 is somewhat noisy, and iso400 is noisy, but not as noisy as our S500 at iso400. Histogram is only available on playback. Battery door should latch more tightly. No spare batteries (the new type) available yet anywhere. Olympus yet again raises the bar in the ultra-zoom digital camera arena with the 4-megapixel Camedia C-770. It's the smallest digital camera in the world featuring an optical 10x optical zoom (as of February 2004), measuring 4.11 x 2.36 x 2.7 inches (12-percent smaller than its predecessor, the C-750) and weighing only 9.9 ounces. It also features an MPEG4 movie mode with sound for high-resolution video at 30 frames per second. Other features include an all-metal body, a Super Zoom function that extends to 14x close-ups, fast USB 2.0 connectivity, and a bevy of manual features. With its 4-megapixel resolution, the C-770 captures 2288 x 1712 pixel images for impressive, photo-quality 11 x 14-inch print enlargements. It als features a full range of resolution modes: 2048 x 1536, 1600 x 1200, 1280 x 960, 1024 x 768, and 640 x 480 pixels. It records both in JPEG and TIFF format. The C-770's bright (f2.8-f3.7) optical system--normally only found in pro-level SLR cameras--comprises 11 elements arranged in 7 groups and includes two aspherical lenses to reduce distortion as well as an ED element to help reduce chromatic aberration. The C-770 captures video with audio in MPEG4 movie format, the next-generation video standard with more efficient file compression. You can shoot at an astonishing 30 frames per second (fps) while in SHQ mode (640 x 480 pixels). Two other resolution modes (320 x 240 and 160 x 120) capture video at 15 fps. The C-770 is one of the first Olympus models to feature TruePic Turbo, a new image processor that sharpens image clarity, contrast, and color for life-like results. This feature also makes the camera 30% faster in processing images and is combined with a super-fast shutter release time. In auto mode, the C-770 offers point-and-shoot simplicity for flawless picture taking. For those times when you want to tweak your creativity, the C-770 has aperture priority, shutter priority, or full manual settings. The 6 Scene modes (controlled by the dial on top of the camera) provide fully automatic exposure adjustments in a wide variety of settings: Portrait, Self Portrait, Landscape-Portrait, Sports, Night Scene and Landscape photography. The 4 customizable "My Mode" settings help save time by allowing you to assign frequently used settings to the mode dial for quick access. The C-770 is PictBridge compatible, which enables you to transfer pictures from your digital camera to a compatible printer (such as the Olympus P-10), without a PC or image-editing software. All PictBridge devices share three basic features: camera-to-printer connecting, single-image printing, and uniform error messages (in case something goes wrong). 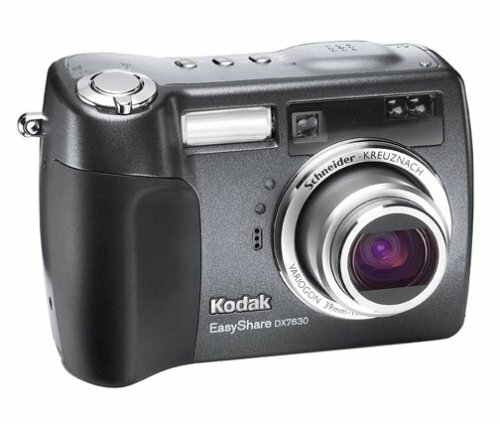 The Kodak EasyShare CX7330 is ideal for the digital photographer who wants great photos from an easy-to-use camera. The CX7330 offers 3 MP resolution, a 3x optical zoom lens, 16 MB of internal memory, compatibility with SD and MMC memory cards, and a movie mode that continuously captures video up to the full capacity of your card. The CX7330 has a maximum resolution of 3.1 megapixels, for prints at 2,032 x 1,524 pixels (for 10 x 13-inch enlargements). It features a Kodak Retinar all-glass, aspherical 3x optical zoom lens, 3.3x advanced digital zoom, and a multizone autofocus system for crisp prints. It has a 35mm equivalency of 37-11mm. In addition to snapping still images, the CX7330 can also shoot video with sound at a resolution of 320 x 240 and a speed of 15 frames per second. Unlike other digital cameras, on which video is limited to a few minutes, you can shoot as much video as you have storage capacity, either in the internal memory or on an optional memory card. Scene modes quickly optimize your camera for common shooting conditions. Images can be stored within the CX7330's 16 MB internal memory or on optional Secure Digital (SD) or MultiMedia (MMC) memory cards. The camera connects to Macs and Windows PCs via USB 1.1. The camera is powered by 2 AA batteries (alkaline included; NiMH rechargeables recommended). It measures 4.0 x 2.6 x 1.5 inches (W x H x D) and weighs 6.8 ounces without batteries. The package contains the Kodak EasyShare CX7330 digital camera, 2 AA alkaline batteries, a USB cable, a wrist strap, and a custom camera insert for optional EasyShare Camera and Printer Docks. i got this camera for my birthday with the printer dock and i absolutely love them both. they were so easy to use and the pictures come out great. i looove it soooooo much! 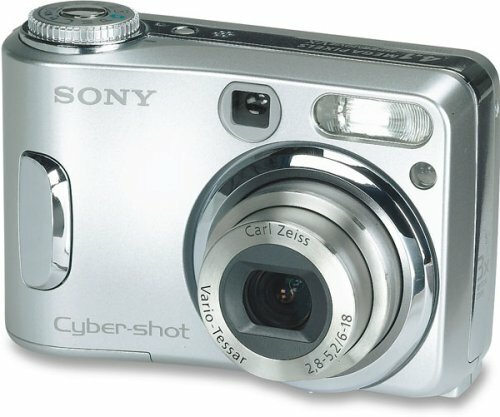 This was my first digital camera and I could not be any happier! It is so easy to use and the software is great. I would not change one thing about it. Be sure to get a memory card and extra batteries though. The pictures turn out perfect. I would recommend this camera to anyone! I bought this camera on sale a got a $30 gift card so I am happy. The video and sound quality is unbelievably high quality. The software is very easy to use. I was amazed how easy it was to remove red eye from previous pictures taken from my fugi film camera. I have not experienced red eye with this camera, but if I do the software will remove it very easily. The body looks cheap but it feels sturdy when you hold it. It has so many features that come in higher priced cameras, the bang for the buck is what counts for me. Cons I don't like the USB under the flemsy plastic flap. This same flap conceals the a/v out and SD card. The less I have to open that flimsy plastic flap the better. Other than that all is good to go. I would definitely recommend this camera to family and friends. This was my first digital camera purchase and I could not have chosen a better buy. I have only had this camera two days and I already know how to work every feature. It comes with everything you need to get started. This camera is very functional with flash options, a zoom feature, self-timer (allowing you to get in the picture), 5 picture-taking settings and a video mode. I would suggest buying an SD (Secure Digital) card and extra batteries to get more pictures from your camera. Transcend the ordinary with high zoom, pro-quality optics. 10X optical zoom (35 mm equivalent: 38-380 mm) SCHNEIDER-KREUZNACH VARIOGON Lens gives you all the power you need to zoom in close with incredible detail. 3X advanced digital zoom lets you go the extra distance when you need it.5.0 MP gives you plenty of resolution to create stunning-quality prints up to 20" x 30" (50 x 76 cm), or crop without losing image quality. High-speed, low-light auto-focus system with dual sensors with a remarkably fast 0.2 click-to-capture speed, gives you sharp pictures even in challenging lighting situationsRender every composition in sharp detail & true-to-life color. Thanks to the exclusive KODAK Color Science Image Processing Chip, the Z7590 captures natural details, accurate flesh tones, bright whites, & rich colors even in difficult lighting situations. Each time you click the shutter, the KODAK Color Science Chip performs an instantaneous & advanced analysis of collected scene data to identify & correct multiple factors that influence picture quality.Never walk away with less than your best shot. A large 2.2" high-resolution indoor/outdoor display & electronic view finder let you accurately compose your subject matter then evaluate the details of yourpicture before you move on.View brilliant, sharp images even in direct sunlight. Auto picture-rotation lets you to see your pictures right-side-up whether you shot it horizontally or vertically. This is one of the best cameras anyone could ever buy. So easy to use, it'll make you want to take it everywhere. I sure do! The camera's ready right out of the box. The pictures come out wonderful and the battery life is great. Only a few minor flaws (no image stabilization on extreme close-ups and the auto-focus makes you wait sometimes before you can snap the picture) but they do not transfer onto the pictures. Even with the jittery close-ups(when you use the digital zoom @ it's max) the pictures come out clear. With the auto-focus problems you just have to wait for the green light when the camera's ready. All-in-all you cannot go wrong with this camera. It, as with any new piece of equipment, takes time and practice to learn how to use it (to get the full advantage of its features). So just practice, practice, practice!!!! I took some pictures of my son in the park playing...they almost look like I hired a professional and I only have had the camera since December 2003. I would recommend this camera from the beginner to the enthusiast. It's worth the price just for the zoom and manual controls it offers. Best 4MP digital on the market!!!! Tested at least 20 different digital cameras (ranging from $300 to $1000) before deciding to buy the Kodak DX6490. This camera is awesome...a digital treasure. I also lucked out (accessory-wise)when I bought it ($399). Among the INCLUDED items were a 128MB SD card, 6000 dock station, battery AND charger, leather camera bag. Am a professional photographer and have never used a digital camera until now. The DX6490 is now 'attached to my hip', along with my Nikon F4 and Fujifilm GA645Zi (medium format). Both of these cameras (combined) cost well over $4000...so that should tell you how much the DX6490 impressed me. It's a lifetime keeper!!! 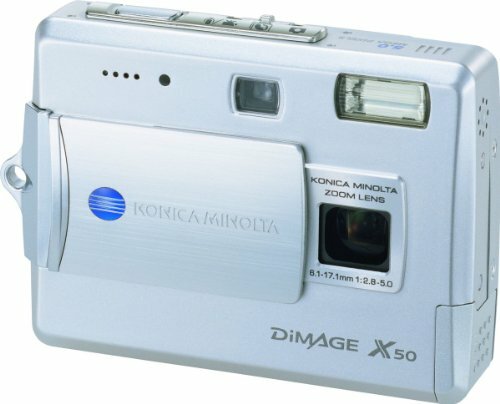 Anyone interested in buying an exceptional digital camera at an affordable price would be downright foolish to overlook the DX6490!!!!!!! Besides being an exceptional 'digital machine', it has a professional look as well (unlike other digitals which cost much more). FANTASTIC CAMERA BUY IT NOW! I absolutely love this camera. I take a lot of personal photos of friends, family, and sunsets ect.. and then frame them for my walls. I was paranoid to switch to a digital camera at first. I bought this camera when it first came out a year ago and if anything was to happen to it I would replace with the same one or possibly there new one. I also own a website for real estate rentals that I photo each and every room of the properties and display on the site. I have never been more impressed with a camera than this one. I was always an Olympus Fan and Kodak to me was bottom shelf for beginners. I am so glad I took the chance. It is easy to us for beginners, and easy to learn the more advanced steps. I have used it for Fireworks displays, (including Disney) with out a tripod in night mode and could not believe the results. For the down side I dont care for the software program they use. However, it is great for beginners to learn on and I do use it to keep my photos organized in albumns. I do most of my editing and so forth thru Adobe photo suite. If you are leary about this camera, dont be. My webmaster (who owns a $1000 Minolta) went and bought this camera after using mine for a day. We both have had photos purchased from us that were just look and shoot photos, spur of the moment shots. My husband purchased this camera for me Christmas 2003. I love to take pictures using my daughter as the subject. This was my first digital camera. I love the quality of the pictures and its ability to capture images in b/w, sepia, color... It is very easy to use. However, the software is not so fantastic. The worst part is that when upgrades to the software become available you have to download them from the computer which takes over an hour. Kodak will not send you a courtesy upgrade cd. I would even pay a few $ for this convenience. They do provide online help where they respond to your email the very next day. I did have loooots of problems with this software and I am familiar with technology. I was impressed when I found out that other lenses could be purchased (I guess it is sort of a SLR camera a little...). I turned off the lights and took a picture of my daughter with her lighted jack-o-lantern for Halloween and took a picture using the night vision and it was so clear, you would have thought that the lights were on. Overall, good camera, not so sure about the software. ONE HECK OF A CAMERA! - Burst feature helps you really get multiple great shots at say, fireworks, or a baseball swing. This feature can shoot six photos per second! - Once you have focused on the image, the camera will give you warnings if you are about to take a pretty crappy photo! 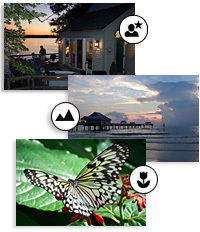 - Catch a beautiful, wide lake, or a tiny red flower with the landscape feature, and the close-up feature! - With a four megapixel sensor and a whopping ten-x optical zoom, you can still have a breath-taking photo from a distance! These are just a few of the hundreds of features on this camera! I would seriously suggest this for your all purpose shooting! 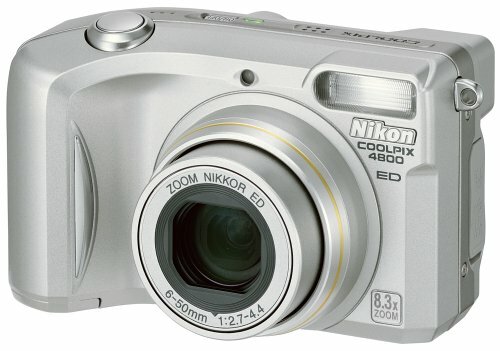 This our third digital camera. Our other cameras are from Canon and Nikon. I was leaning toward the new Canon S60 because we love our other Canon and they both would take the same CompactFlash memory cards. 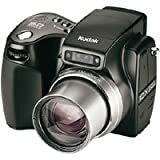 This camera was going to be mine and I wanted 5MP so I could do some cropping of pictures and still keep up the quality when printing in 8 X 10 format. The Canon S60 kept being delayed, so I started looking at alternatives. 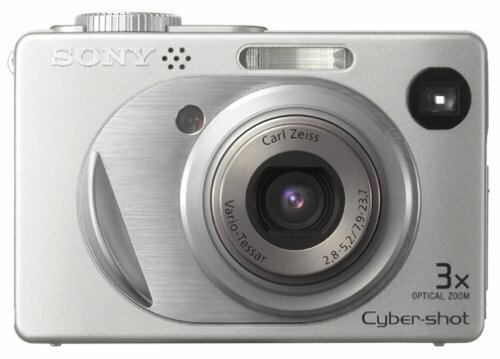 The DSCW1 seems designed to compete with the Canon S60. Both are 5 MP, both are compact, both have manual modes which allow you to be creative with your pictures. The Sony pulled ahead with its larger LCD display and its ability to use standard AA batteries. The Canon relies on a propriatory lithium-ion rechargable battery. The Sony comes with AA rechargables, but should they go dead at an inopportune moment, you can pop in any AA batteries to keep you going. I bought the Sony and have had it for almost a month. The batteries don't seem to last quite as long as our Canon, but I picked up a couple of spare rechargables for less than $10 and just alternate them in the charger. The DSCW1 downloads using USB2 so even though each picture is larger than 2MB each, they download FAST. The picture quality has been great. Indoor low light shots have a bit more blur than I would like, but they didn't come out at all with either of our other cameras. Colors are crisp and true and prints from the pictures (on a Canon i470 printer) are excellent. One word about the included software. Yuck. It is useful for downloading and for doing a quick view of what you took, but beyond that it is very limited. Overall, I am very happy with my Sony DSCW1. Compact and fast, with a big screen. My last camera was a Sony Mavica CD300. Aside from recording onto a mini CD, its best feature was its large 2.5" screen. It's almost like having a Polaroid instant camera. You take a picture and pass it around. People love looking at pictures on the camera. You can't get that same effect with most digital cameras today. I bought the W1 because it also has a 2.5" LCD screen, but the camera itself is 1/4 the size. And this screen is actually much clearer than on my previous camera or on the Sony V1 (which this camera replaced). The picture quality of the photos is decent. (I'm no expert.) Startup is super fast. There's no lens cover, which is convenient. And it uses rechargeable AA batteries. I bought an extra pair for $10. It's also got an optical viewfinder so you can turn off the screen to save power while you're taking photos. A lot of usability improvements - They finally replaced the directional pad with buttons; the center used to be difficult to press. The on-screen menus are easier to read. A cool new feature is that when you select the camera mode by rotating the dial, it temporarily displays the icons rotating on the screen, so that you don't have to look at the top of the camera. And even the manual is much improved. The flash seems a bit small, but I haven't tested it out fully yet. My only real complaint is that it doesn't come with an AC adapter to directly recharge the camera. A cradle would be nice too. You have to take out the batteries and use the included battery recharger. Perhaps this is a better system, but I'm not used to it yet. Overall I'm thrilled with this camera. I just bought this camera a week ago and it takes excellent pictures (not good for sports or action shots). The problem I have is the movie mode. It's great for being compact and taking short little clips. Unfortunately, it's only compatible with the software that Sony includes. I can't burn to DVD or create a memento CD with editing or music. Which is what the salesperson told me I could do. Only one review site mentions this problem (...) but now a lot of users are starting to see it. This camera's noise filtering causes pictures to look 'soft' or in my interpretation - slightly out of focus. In outdoor scenery shots it isn't very noticeable - the 5MP is able to give you a lot of detail especially in the area of the picture that is not your main subject (background trees, roofs, etc). However in portraits, or pictures of pets, the problem is VERY apparent. Going from a 1MP to a 2MP camera, the 2MP camera "wow'd" me. Going to this 5.1MP camera, I look at the pictures and say "eh?". shots are smooth. Facial features are ever so slightly blurred - detail is lost in the hair, contrast around the nose and eyes. It's like looking at a flat/matted picture! Do I think I got a bad one? No. There have been a few other owners on some of the digital camera discussion forums that at first said "No way, this camera is great!" only to come back later and say "Wait, I spoke too soon, there is an issue". Then there is the poor flash capabilities - not very powerful. Yes, a lot of compact digital cameras suffer from this but this camera seems especially bad. There's a user that took a bunch of indoor photos at their son's birthday part and every one was blurry - not one was printable! The camera is physically gorgeous. The LCD is HUGE and very nice and clear! The camera is very responsive, fast, WELL built, and a nice size, but the pictures don't live up to the "Carl Zeiss, 5.1MP" advertising! Don't be fooled by reviews that take pictures of posters and resolution charts - this camera does great with those items. Take a look at their portrait shots of live people and zoom in on the facial features. Compare that with another camera and you'll see the difference. Again, far away shots of scenery looks great. It's when you're doing closeup work of detailed items where the problem shows up. My W1 is going back this week. I'll bet in a year, Sony will address these problems and THAT camera will be fantastic. I have owned two previous Sony digital cameras, the DSC-S70 and the DSC-V1. This is simpler to operate than those and is ideal for the everyday user. Highlights - extremely fast start up time and between picture shot time. Large LCD screen. Uses AA batteries. Gorgeous color output, equals or exceeds 35mm. I love the simplicity of the F10. No superflous buttons on the back. I'm more of a point-and-shooter, but for more involved photographers, the camera gives you tons of options, which you access through several menus. The huge screen is great. I don't even miss having a viewfinder. And even if the camera had one,I'd never use it. I suspect most people take digital photos using their screens, anyway. I love taking home movies with the camera. It gives you eight minutes of video on a 512mb card. (The camera comes with a 16mb card). I have about 8 video clips stored and still have room to take about 20 photos in e-mail quality mode. I'd recommend you buy a 1gb memory card if you plan to take a lot of video. Or, to free up card space, just save your movies to your computer to burn to a DVD later! The best part is shutter lag is practically zilch. No holding smiles for 10 seconds. The camera's ready to go as soon as you turn it on. Connecting camera to computer via USB requires several cords, (inluded), so it's a bit messy in that regard. Photo quality looks great to me. The body is small but a bit heavy, as heavy as a light paperweight. The included software is very basic and doesn't save photos automatically like it should, so I have to save photos manually. Apparently this is a common problem with the software, but I'm fine with manually copying so I'm not going to find out how to fix this. The battery did last a long time. I must have taken 200 photos, erased, viewed them, replayed videos on it, etc. before it ran low. The battery really started to die when I took about 15 shots in complete darkness. (They came out nice and clear, by the way). I think the heavy flash usage drained the battery faster. In all, I'm very happy with this camera. The $350 I paid was well worth it. This is a great camera. Besides being compact and slim, the large LCD display is a pleasure. This is also the fastest camera I've ever owned. I can't believe how fast it starts up and is ready to shoot! I've already printed photos and am extremely pleased with the outome. I strongly recommend the F10 for all level of users. Hey guess who!? The sinister minister with yet another Digicam review!Well the E300 brings my camera count up to 5 and it may very well decrease it. I have by nature been very weary of the digital SLR's even though I sell tons of them every week, I have used the Canon XT and 20D, and the Nikon D70, consistantly. I have demonstrated them untill I can set one up in my sleep, and as fast and advanced as they may seem I just couldn't get past thier hefty price tags.But then here comes the E300, the first thing you notice about this camera is it looks like no other SLR on the market, it almost like a stealth camera! Size wise it compares pretty evenly with its counterparts, however it is somewhat lighter. 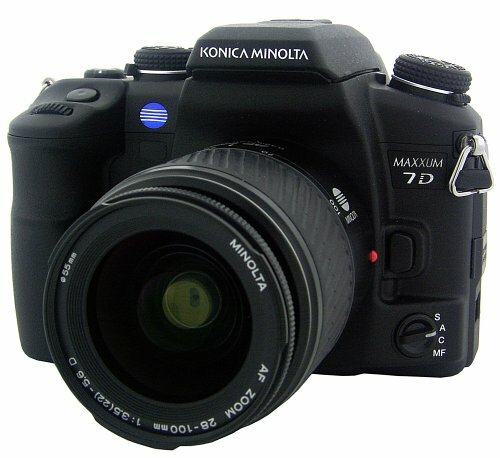 Unlike the Rebel XT however this camera is built like a tank, with a good solid hand grip, and a textured metal body. That aside the main thing that attracted me to this camera was the fact that it uses Digital Zuiko lenses, each lens has its own processor! How cool is that! Not to mention the benefits you get when reading light or getting in focus. And to top that off they are sanely priced!! Now the most important feature of any camera my friends is what you buy it for, and that is pictures! The E-300 takes amazing pictures! It takes them fast, clear, and in just about any light situation you can think of. Oh and by the way? thats before you even start to mess around with the settings! Lets talk about a few: ISO: Neat feature the E300 has is a thing called "ISO Boost" you can switch the 2 highest ISO settings on or off (800 & 1600)! Noise in this department was pretty darn good until you shoot at 1600 then it gets a bit spooky, there aren't many cameras that don't (believe me) even the 20D you fantasize about takes a crappy shot with the ISO cranked up! Shutter speeds are about even with most other SLRs, and it even has an 8 minute "Bulb" mode (Hooray) but you have to hold the shutter button down (BOO).Menues: This camera has the coolest, and easiest to use damn menu system I have ever seen! I love it I was running thru things like I had owned the camera for years after just a few minutes, Nothing like the Canons (some things on those I still can't find!!) 8MP: my favorite resolution! I own 4 8MP cameras and I love every one of them! I well tell you now what I tell all my customers at Bestbuy anything over 8MP is a waste of money and time, I think even 8MP is more than most people need.5MP is average 6 is just stupid, 7MP is a good point and shoot. But SLRs need to be at least 8MP (hello Nikon?) The lens ranges work so well with that resolution anything less is really an injustice (I think).Scene Modes: Yes the E-300 has a ton of them (see spec's above) including the "Sunset Mode" (I love Nikon's)This is almost as good although a little too red at times. I haven't had the camera long so I haven't had the chance to run thru them all, but the ones I have used have all been right on the money. Speed: well okay this one has to go to the 20D, speed wise the E-300 is about par, but it's not gonna win any races about 4 frames at 2.5 sec for as long as the shutter is pressed.White balance features are excellent in this camera ranging from auto to 3000k all the way up to 7500k in addition to 4 spaces for custom settings (nice job Olympus).Full AF or manual focus modes as well as several combinations of the two! Flash: the E-300 probably has the best on board flash of any camera I have ever used, and without a doubt the most versitile as far as being able to control intensity, speed, etc. I actually like using it (Normally I hate flash photography). 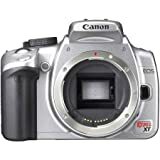 Huge selection of Image formats: this camera will save your pictures in at least 20 different files types and resolutions, not to mention you can completely edit Raw image files directly within the camera! Exsposure, contrast, sharpness the whole deal right on board. Battery life is excellent being as good as my F-828 at 230-220 minutes.Micro-drive capable, and I absolutely love the Zuiko lenses.I have to admit I never thought I would own an Olympus let alone one of thier SLRs, Olympus has a tendency to cut on quality when it comes to thier lower end models the people that own em love em. However I have always heard that Olympus high end cameras are among the best. After using the E-300 I would agree WOW!.This camera has so many other benifits and features that I can't go into here, so check your online review sources and make up your own mind. As I said I am a professional photographer and I sell cameras and aside from some bells and whistles, speed you'll never use, the E-300 is everybit as good a digital SLR camera as its Canon and Nikon counterparts (more so in some ways)The biggest being price! I added another lens to mine and a Microdrive (4gb) and a Canon would have still cost me more, and I'd still be lost in those menus!Want my advice? Put the E-300 on your short list and decide based on picture and price, not speed. Weather its film or digital, photography has always been about the pictures, SLR's by nature take amazing photographs, is it really worth it to have to take on a second job just to pay for it!? I hope this helps somewhat, after I have used the camera a while I may offer an update, until then Happy shooting! The E-300 is one outstanding digital camera.I have been doing 35mm for many years, and it was nice to find a digital camera that has the look and feel of a high end 35mm.It even has the sound of the shutter clicking and the film winding sound also.A very easy to use camera, once I figured out the menus.Pictures are outstanding even at the middle of the resolution range.Good job, Olympus!But... I could mention two complaints, neither of which will make me return the camera.One, the camera does have a bit of a problem taking flash pictures in low light conditions.And the other problem, an obvious money-grubbing device (Bad Olympus! ), the AC adapter that sells for $130 or so could be replaced by any $10 wall wart, except for that little proprietary connector on the camera.Come on, Olympus, what's up with that? When I decided to go fully digital I read every review I could find.Not having $6-7000 to spend I kept it under $2500. This is the best camera out there in this price range.It is sharper than any of the others.There are minor complaints about color acuracy, but that is a lot easier to fix than lack of sharpness. Very powerful flash.Amazing for its size. $1000 and that is with 2 lenses. THE BEST SLR AND THE BEST LOOKING CAMERA I HAVE SEEN! Before, I bought the E-300,I looked at the other SLR camera's and was impressed by some of them. But, not as impressed by the E-300. The E-300 caught my eye by it's looks and it's functions. Also, all things it can do! Plus it was easy to use! When I first started using the camera I was "VERY" impressed by how well the pictures were coming out. I am pretty impressed with the E-300! I am "GLAD" I choose this camera and I would not trade it in for anythings else. This camera has far exceeded my expectations. I am one of those geeks that research everything on the market before making a purchase. There are plenty of cameras that looked like they would meet my needs, but as I researched and tested, too many had glaring flaws or fell short on critical features. I'm not going to waste your time and mine repeating all the details of every feature from the earlier reviewers. They did a great job of listing its strengths and weaknesses. Instead, I will waste our time sharing my personal impressions on the use and results of this fine camera. The image stabilizer is like magic. I have been able to take indoor, hand held shots that would have been impossible with an un-stabilized camera. I cannot overstate the value of this feature. In well lit pictures the stabilization makes for a crispness I haven't seen in a point and shoot type camera (perhaps the massive Leica lens may have had something to do with this too). The flash has impressed me as well. It seems to meter very well compared to my Cannon A70. No more flash blown out shots on close up groups. Rarely did it get it wrong. I spent yesterday at the Point Defiance Zoo in Seattle, running the FZ5 through its paces. The resulting pictures blew me away. I couldn't wipe the smile off my face looking at the pics on my computer afterwards. I'm no pro, but some of the pics were. It was a bit humorous to hear comments all day long by other Point and Shoot photographers "I wish I had more zoom", all the while I am taking crisp 12x close-ups of all the fuzzy critters in cages. Also, I like a camera that looks and handles like a camera, not some kind of Star Trek shuttle craft with a lens on the front. The Minoltas look goofy and handle goofy. Scotty, beam me up. Is it perfect? Nope, but so close I'm still smirking with smug satisfaction. After the zoo trip, I would like a manual focus option. There were times that glass or chain link fence made focusing a chore. Would I trade for a bigger, heavier camera that had manual focusing? Not for my uses. You can keep your bloated and clunky DSLRs. This camera carries like a Point and Shoot, but functions like a much bigger beast. Toting it around was barely noticeable (that is a key feature for me). This is a camera that you can carry easily and it excels at 95% of any use I may deem for it. The size is perfect. A gargantuan 12x stabilized lens on a camera this small is unreal (somebody pinch me). Of course, please upgrade the included SD card. I get annoyed when reviews gripe about the small included memory cards in today's cameras. I don't want the camera company deciding for me which high capacity card to use (and jacking up the price of the camera). I say put in a tiny inexpensive card to allow camera testing, then let the end user pick their favorite card. This camera is already speed demon compared to my Canon A70. Imagine my surprise after plugging in a SanDisk Ultra II card and watching the write speeds cut in half. It was dramatic. Get a fast 10mb SD card and snap pictures at will. As far as the review by "jjmmdd" I have to say "Either you don't know how to hold a camera still, or the camera is defective" If it is the former, spend more time on your technique. If it is the latter, then for heaven sakes, get the camera fixed or replaced. Across the board Panasonic puts out some of the most consistently reliable consumer products available. "jjmmdd", you were so very right. Every positive review written for Panasonic products is written by a Panasonic employee. Dude, put on your aluminum foil hat, check yourself for alien implants, and "buy a vowel". Regarding the review by "D. Rosenfeld", as far as I am concerned, any "movie mode" in a "still camera" is a defect, not a feature. If you need a video camera, buy a video camera. Anyone buying a still camera for its video features is looped. It is consumers like you that make me fear the camera companies will start putting cell phones in digital cameras. D'oh! Oh another thing "D".... The stabilizer "ROCKS!!!" It has been a while since I purchased a toy that lived up to my expectations after I lived with it for a while. The Panasonic FZ5 did just that. I'm now dreaming of this same camera with manual focus and a magnesium chassis......mmmmmm, magnesium. Wake up man!! 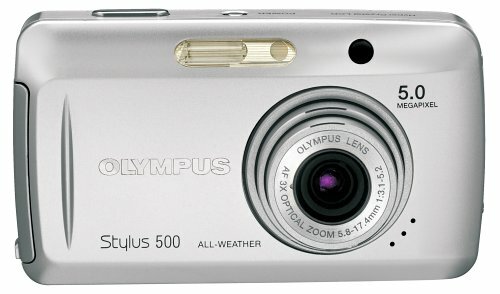 !In the category of "Stellar, Point, and Shoot, Mega-Zoom, Cameras" This baby is getting all 5 stars from me. Okay, maybe I'm not qualified to give it a 5 star rating since this is the first digital camera I've owned, but I've been very happy with this camera and it's performance.I've been a traditional SLR user for about 10 years, and while this camera doesn't have the full range of control of an SLR, it seems to be the best for the price if you want some manual controls and a great zoom compared to it's competitors in the same price range.I'm stopping here, the other reviews already give a lot of detail about the camera. This review should really be 4.7 stars. The only 'flaws' I have found are the absence of manual focusing (if you need that, get the Panasonic FZ20) and spot focus being potentially aimed outside of the little focus box (test where yours is). I knew about the lack of manual focus going in, and weighed against the larger (3/4 inch wider, 1/2 inch taller, and 1 inch deeper), more expensive 20 oz. FZ20, the smaller 11 oz. FZ5 wins easily.I already own the FZ10 which is very similar to its replacement the FZ20, and its sheer size and weight prevented carrying it regularly.Its bulk is the reason I replaced it. I'm not certain yet if my spot focus is aimed correctly, but others have had problems, and a few of my pictures have been out of focus.Many of those seem due to hand shake with a slow shutter speed.When zoomed even image stabilization/antishake technology won't compensate for slow shutter speeds - use the flash or a higher ISO. You have the flexibility to do that because other than manual focus, you have endless options.At least 4 ISOs, shutter priority mode, aperture priority mode, manual mode, and a variety of pre-programmed shot settings if you don't want to mess with the details.Fireworks, party, night landscape, night protrait, sports, macro and on, it's all there.The exposure system is the most accurate I've seen in not over-exposing and losing white tones and highlights.The white balance is actually accurate enough that you may need to adjust it, although 'auto' does pretty well.Focusing can be whole screen, spot, high-speed spot, etc.It also has two image stabilization modes, one that gives you the greatest accuracy stabilizing, another that makes focusing easier. An often ignored consideration in picking a camera is whether it has a focus assist light.Inside, especially at night under incandescent light, many cameras may have trouble getting enough light to focus correctly.You won't notice this in a well-lit store or outside, but when you need a picture of a birthday party or other event, half your shots will be out of focus.This has the light.I believe only Canons also have this feature consistently. If you've made it to this camera, you are probably already aware of the benefits of an extended zoom.It's wonderful to be in total control and able to get as close as you want to your subject.Since I'm unable to hand-hold even at 6x zoom, image stabilization is vital in an ultrazoom model. There are cameras available with more megapixels. While more pixels may give you the ability to capture more detail, that must be weighed against the file sizes created by more megapixels.You'd need extra or larger memory cards to hold those files, or compress them and lose resolution in order to fit in a smaller size.If you're only printing 4x6s or even 5x7s, it's too small to see that detail.Most web images are less than 1 MP, and a standard 1024x768 screen is also less than 1MP.If you are sending images by email, larger images and files only making it harder to send those to people with dial-up.Don't buy a camera on megapixels alone - it may be more trouble than it's worth. Other than the FZ20, only the Konica Minolta Dimage Z5 is comparable to this model.The Dimage is heavier and larger, making the Panasonic the best option for me so that I carry it as often as possible and get the most from my investment.Other than hard-core photography afficionados who need the manual focus (or a hot shoe which this also lacks), I doubt anyone would be disappointed. I just bought one and am very disappointed to find that a user can not change the degree of zooming when in movie mode; in other words, once you select a focus that includes a certain amount of telephoto zoom, you are stuck at that zoom level till you stop the movie and start a new movie. BUMMER! 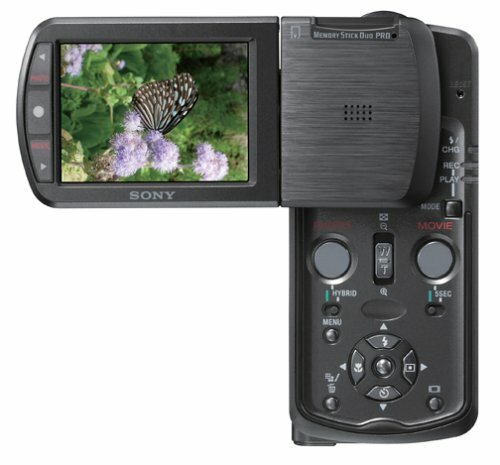 Secondly, even though everyone raves about the image stabilizer, I have to say that my old Sony Mavica MVC-FD91 had/has a far superior stabilizer. The new Canon S2 may be the way to go. I have been very pleased so far with the DMC-FZ5.I have been taking very sharp pictures indoors and outdoors with the Lumix.The LCD is very readable (might not be as easy in full sunlight), and I was able to figure out most menu items without the instructions. Image stabilization works wonders on this long zoom camera.I took a 12X zoom picture outside in a 25 mph wind, and the result was outstanding.The wind was shaking me all over, but the pic came out as crisp as can be, thanks to the image stabilization. To Ann I say that the DMC-F5Z may be kind of big by your standards, but I would have to say this Lumix is a very compact camera, even compared to my Canon G2, which is no monster by any stretch. To Jimmy, I am certainly not a Panasonic employee, but I can't give this camera a poor review.If 75% of your shots are blurry with the Lumix, then either your camera is defective, or the operator is defective!Is it possible to take a blurry picture with this camera?Yes, but it's pretty hard, especially with Image Stabilization turned on. This Camera is one of the best in its price range. It takes beautiful clear pictures and can be used right out of the box, but its worth learning all its features. The included memory holds about 20-25 pictures so I upgraded to 128mb. I reccomend getting a 128mb card and the Sony camera case. Not only is this one of the best cameras in its class it includes decent software and rechargeable batteries that are at least a 20$ value. HIGHLY reccomend over canon,kodak, and fuji. One more thing this camera has CARL Zeiss lens (if you dont know, great lens) all the competetors have generic lens. After much deliberation and research, given I was about to shell out over 300 bucks, I went with the Sony DSC-S90. I won't go on and on about specifications since you can read them for yourselves.But after using this camera for almost one week, I have found it to be very easy to use, it gives you great looking pictures (thanks toCarl Zeiss and 4.1 megapixels), and it even takes MPEG movies. The HUGE 2.5 inch LCD screen is bright and clear, and you're given the option to use the optical viewfinder. A handy feature in bright sunlight. The only reason I didn't give it 5 stars was because of the lackluster design of the data/video/audio cable. It plugs into the bottom of the camera, which means you have to lay it on it's back (the LCD side, ouch!) or its front (the lens side, double ouch!!). I'd hate to damage or scratch either of these, although in all fairness, the lens is closed during file transfer process. I'd recommend this beauty, but get yourself at least a 256 Meg Memory Stick Pro, a small carrying case, and add those to the price.ENJOY!! Very pleased with my first digital camera-easy to use! Although this is my first digital camera, I did a fair amount of research and shopping to decide on this camera.I am a "techie" and "gadget guy" by nature, but this camera is very easy to use right out of the box.A primary reason I bought this camera was for its ease of use for my wife and children. My decision came down to two cameras:this and the Canon Powershot A520.They have very similar specifications.However, for the same price, the Sony came with rechargeable batteries and charger and has a WHOPPING 2.5 inch LCD screen! I am very pleased with my purchase and how the camera performs so far.